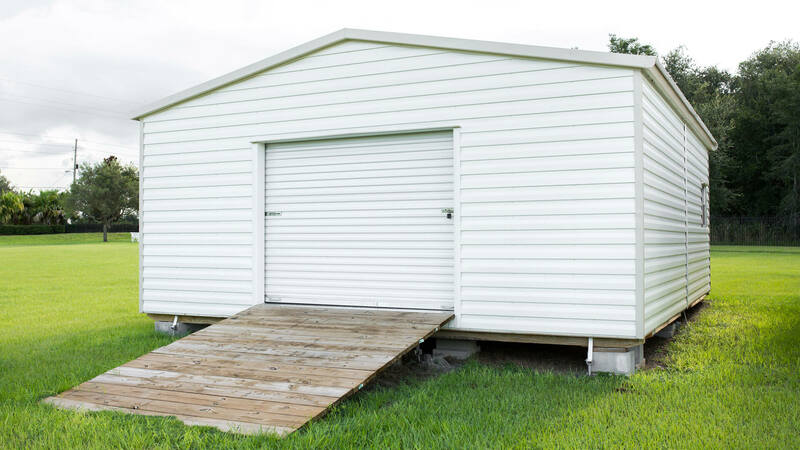 If you need storage that's economical, you can't afford to overlook the Floridian. The baked-enamel exterior of the Floridian will never rust and is guaranteed to look great for years to come. There is no assembly or installation required. 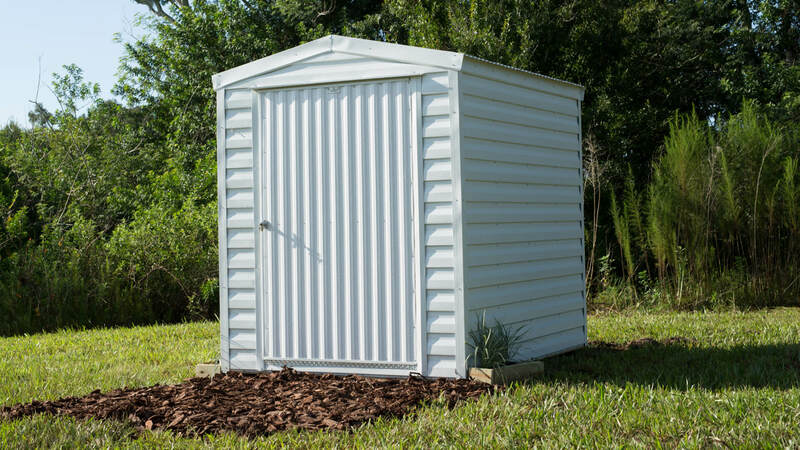 The price includes both delivery and placement on your site, making your building ready for immediate use. Consider the quality, as well as Robin strength and security. Don't let the Suburban good looks fool you. Under that durable all-aluminum exterior is a building built to last. 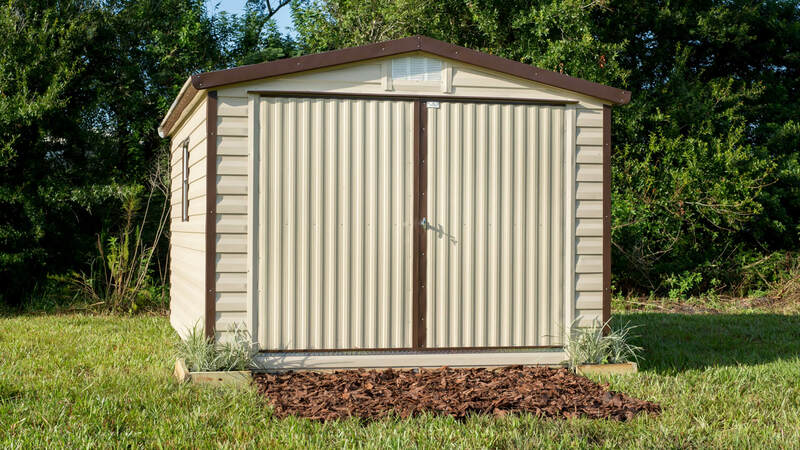 The Suburban has all the great features of our Floridian style, with the addition of a 3" eave that is fully boxed with painted aluminum soffit & fascia trim. The Classic style gable roof, eaves, and lap siding make this beauty a first choice for homeowners everywhere. 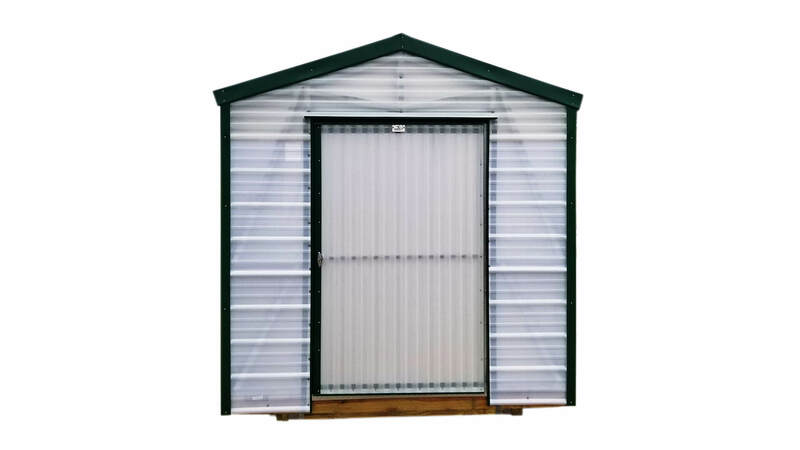 Its full interior height makes it the perfect building for utility or special purpose like a home workshop or even a studio. It looks like a permanent site-built structure and is as strong and secure - yet more versatile. Our handsome Multi-Module performs for homeowners, businesses, municipalities, and industry alike. Multi-modules are built with the Secure-it TTM. 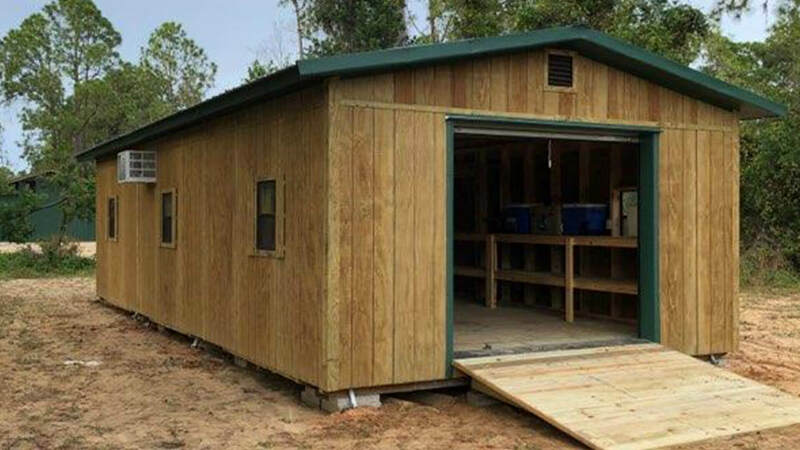 This strong truss construction system interlocks with a foundation resistant to termites, rain, and moisture. Its solid flooring is tough enough to withstand heavy loads for years to come. 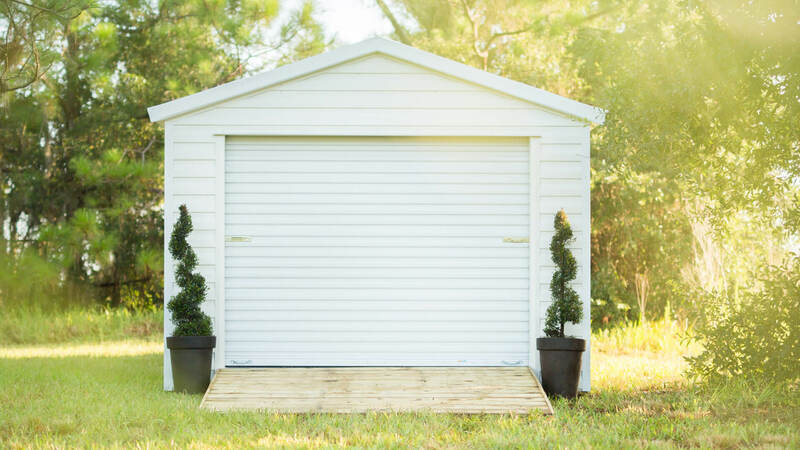 Whether for storage, workshop, pool house, or garage, this picture perfect Stucco will look great for years to come. Who would of thought that a storage building could look this good? The stucco-like finish is a special Pleko compound used on commercial buildings requiring maintenance-free exteriors. And it's framed with Secure-it TTM. Pineywood will compliment your home or site. It's handsome exterior is 5/8" premium grade, pressure treated, 8" o.c. T-111 pine siding. It's so versatile. Pineywood comes completely set-up with lighting and bronze-tone windows. 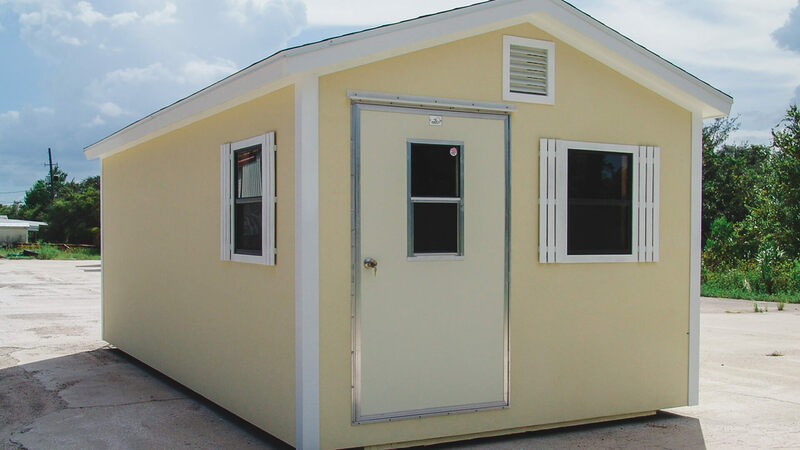 With a variety of options and sizes that Robin offers it's better than a site-built custom building! Years of experience have helped Robin design the grower’s choice of greenhouses. From its thicker shatterproof SolarSoft panels, specially made to block harmful ultra-violet rays, to the optional heavy-duty treaded floor, and the sturdy steel frame, it is by far the standard of excellence.